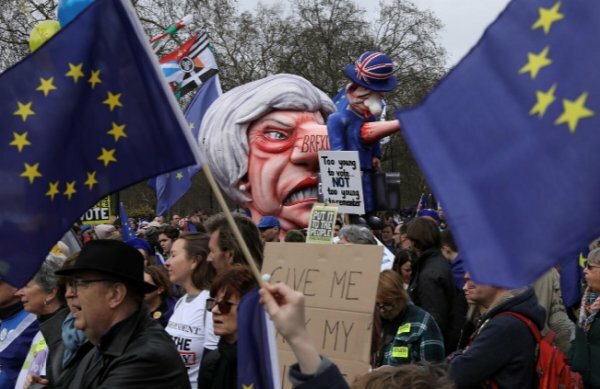 Thousands of people opposed to Britain’s withdrawal from the EU gathered to march through central London to demand a new referendum as the deepening Brexit crisis risked sinking May’s premiership. 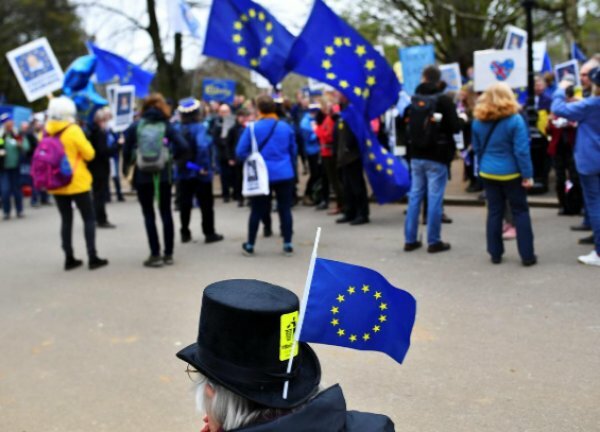 "THAT'S WHAT WE ARE ALL MARCHING FOR TODAY"
May hinted on Friday that she might not bring her twice-defeated EU divorce deal back to parliament next week, leaving her Brexit strategy in meltdown. 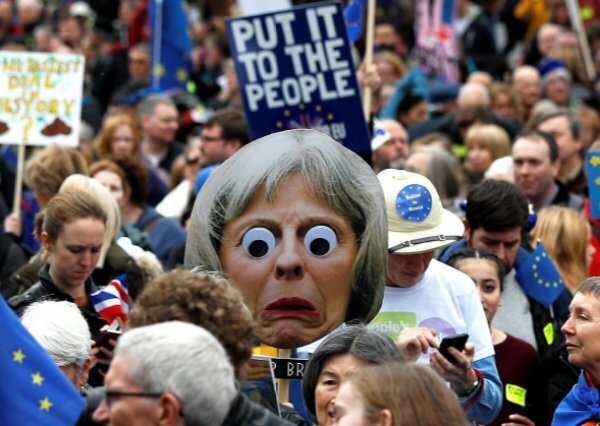 “It’s intolerable, the situation that we’re in, and I’m afraid Theresa’s the problem,” Anna Soubry, a pro-EU lawmaker who left the Conservative party to join the Independent Group in February, told BBC TV. “She has to go, and we need some temporary prime minister who can reach out, put the country first, and get this back to the British people. That’s what we’re all marching for today” Soubry added. While the country and its politicians are divided over Brexit, most agree it is the most important strategic decision the UK has faced since World War Two. 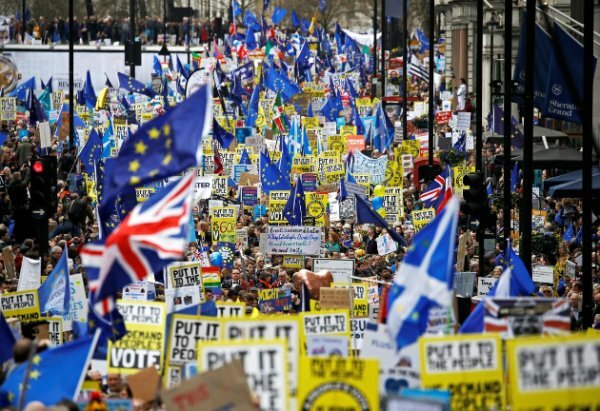 While there was no official estimate of the numbers, a Reuters reporter said tens of thousands of people had gathered even before the event officially started. 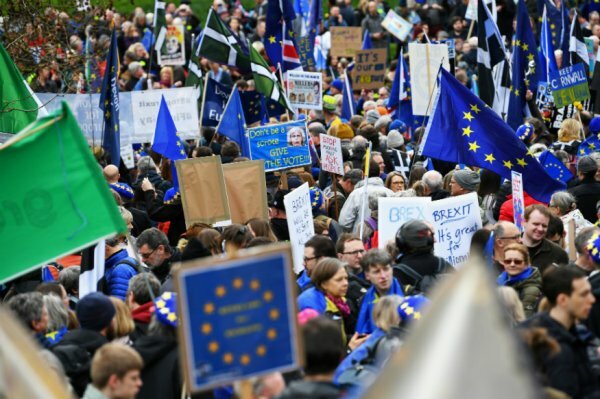 Organizers were confident that the size of the crowd would exceed a similar rally held in October when supporters said about 700,000 people turned up. 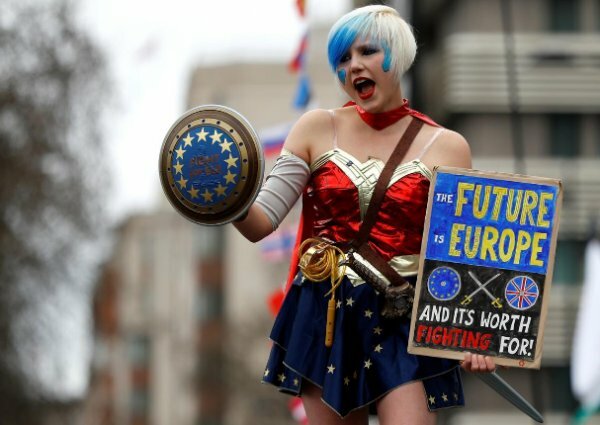 Phoebe Poole, 18, who was holding a placard saying “never gonna give EU up” in reference to a song by 1980s pop star Rick Astley, wasn’t old enough to vote in the 2016 referendum. 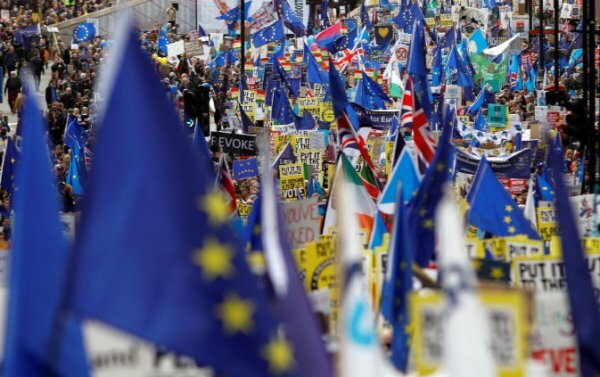 A petition to cancel Brexit altogether gained 4 million signatures in just 3 days after May told the public “I am on your side” over Brexit and urged lawmakers to get behind her deal. 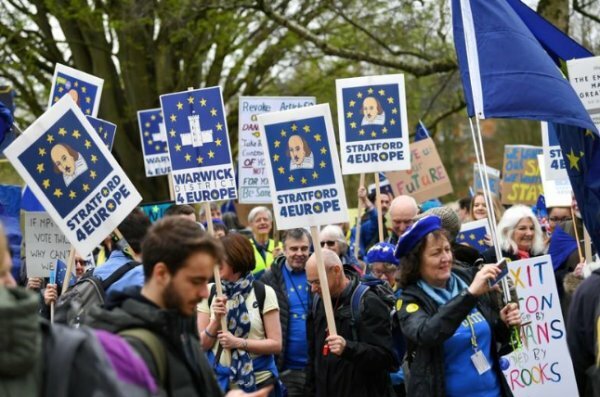 In the June 23, 2016 referendum, 17.4 million voters, or 52 percent, backed Brexit while 16.1 million, or 48 percent, backed staying in the bloc. But ever since, opponents of Brexit have been exploring ways to hold another referendum. May has repeatedly ruled out holding another Brexit referendum, saying it would deepen divisions and undermine support for democracy. 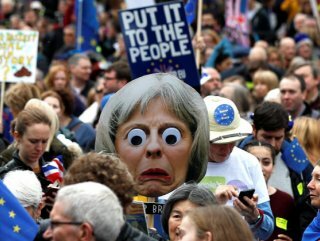 Brexit supporters say a second referendum would trigger a major constitutional crisis. 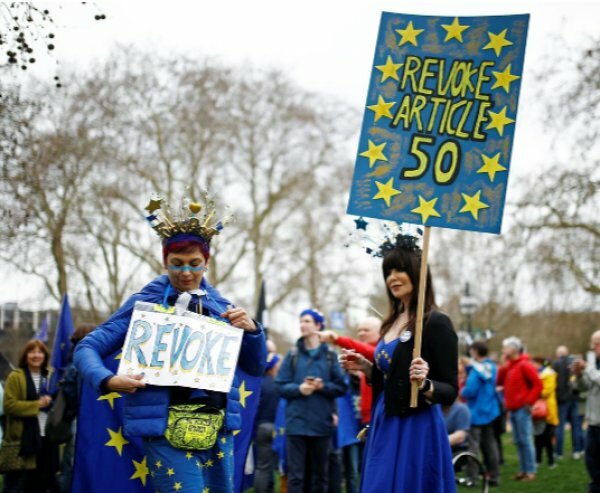 Supporters of Brexit say that while the divorce might bring some short-term instability, in the longer term Britain would thrive if cut free from what they cast as a doomed experiment in German-dominated unity that is falling far behind other major powers.